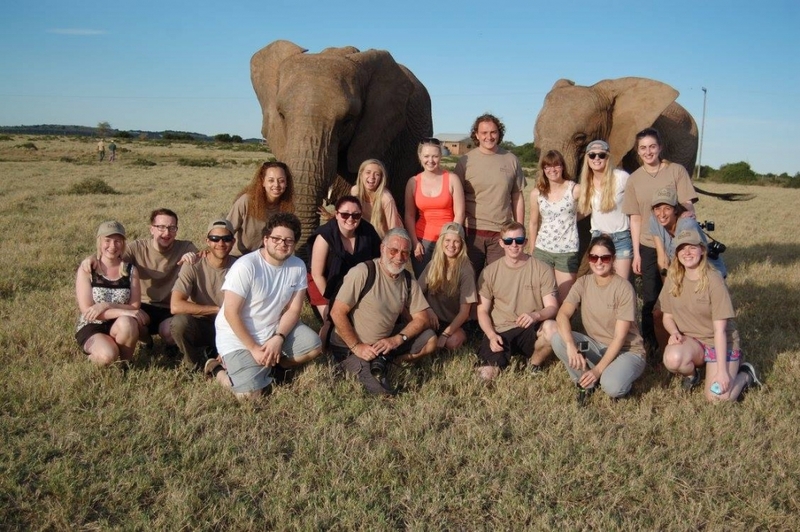 Carly shares her experience of life as a volunteer in South Africa on the Big 5 game reserve. This is fantastic insider knowledge, and a must-read for all volunteers heading out there soon! Breakfast – freshly cooked bread, jam, peanut butter, fruit, cereal, juice and a varied hot option of beef sausages, eggs, beans, chicken, potato wedges. Lunch – chicken or beef burgers, chips, spaghetti bolognaise, vegetarian sausage, chicken, mac and cheese. The food isn’t bad but there’s not good options for vegetarians, always good to stock up on snacks on the weekend if you are fussy with food. Plus food is really cheap to buy in South Africa and Spar or Checkers has all the food comforts including Dairy Milk! There’s also a shop at the reserve, but it mainly has biscuits, sweets, fizzy drinks and toiletry essentials. 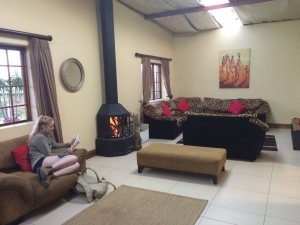 There were two places of accommodation at the game reserve, Mafusa and Cubs. Both sets had a dorm of bunk beds and a living room with TVs and sofas and a fridge. There were plenty of DVDs to watch (including Lion King 2!) and books to read, as well as a fire, water, juice and occasionally freshly baked biscuits and muffins! Both dorms were very sociable and by the end of the first week you’d know almost everyone. Perhaps in the more winter months a sleeping bag would be needed, you already get bed sheets and a thick blanket. I took thermals in May and I barely wore them. My best advice would be to take shorts and cargo pants or 2 in 1 if you want to be practical. The weather is quite unpredictable to decide what to take for 3 weeks. My fleece was my best buy for the trip, especially for cold mornings. Layer up, check shirts are a good idea and jumpers and hoodies encase it is a cold day! Trainers or mountain boots were both practical footwear. Travel wash is handy, but I have to say the laundry service was really good. For approximately £3 you’d get a whole carrier bag of washing done and dried usually on the same day (Tuesday and Thursdays). So you don’t need to take as many clothes as you think! There were plenty of different tasks to get involved with during the day and no two days were the same. The standard day involved activity 1 at 7.30-9.30am, breakfast 9.30-10am, activity 2 at 10am-1pm, lunch at 1-2pm, activity 3 at 2-5pm and dinner at 6pm. It would usually involve two hard working activities a day and a fun one (i.e. game drive). I’d advise not missing any as there’s always a chance of seeing the wildlife and it’s so rewarding finishing a task and making a difference. This had various different tasks, one was checking the voltage on the fences to ensure the voltage was not too high or too low using a diagnostic tool. Another involved putting isolators on the fences in order to electrify a new enclosure. The final one I got involved with was using rocks, rubble and tree branches to close gaps under the fences in order to minimise soil erosion by water as well as prevent the animals from escaping! This was a fun problem solving task of finding rocks that fit in like Tetris to fix a massive hole in the road. It involved heavy lifting onto the truck and digging to get soil to cover the rocks. It was a good team work session as there were various things to do throughout the task. Sometimes we’d also create a water flow in order for there not to be a water build up on the road. Using machetes to get rid of alien vegetation, although was hard working it was a good destress! One of the big trees almost fell on me which was quite scary, but missed me luckily, you have to be careful. It’s one of the few tasks I have marks from on my arm. Another self-explanatory task, the gloves I bought came in handy! We did this so the area could accommodate for new plants to be planted. My least favourite task as I’m not very strong. Digging up the grass and weeds near the fence in order to minimise a fire progressing into the game reserve, should one occur. The floor was very tough so it wasn’t an easy task! This is the area where you can see the tigers, lions and cheetahs kept in captivity for various reasons. They send the tigers back to India once they are ready as they can’t be released in Africa as it’s not their natural habitat. One of the white African lions had cubs so we got to see a glimpse of them! One of our hard working tasks involved loading the raw meat for these animals onto the truck, it smelt so bad, and some of us were covered in blood, but was worth it to see them all happily eating. This task could be available out of nowhere so you may get lucky! Next to where we were weeding, a variety of small animals that you can interact with. You are allowed to go into the marmoset and love birds’ enclosure, and say hi to the parrot, horses, sheep and ostrich as well as see the blind wildebeest nearby. The marmosets scratched my nose and peed on me, be careful they don’t like being stroked, but they are so fluffy! A chance to have direct interaction with the elephants, by riding them, feeding them and walking alongside them. They are very snap happy, but be careful not to be caught in the middle as you could get trampled on. Be sure to listen to the game rangers. But don’t fear they have not been mistreated and have free reign at the sanctuary with a watering hole! We’d firstly plate them lunch of chicken in a sauce with rice and a sweet. They’d all line up politely and after eating would come back and collect you to come play with them. 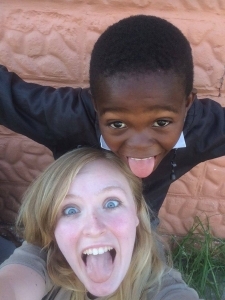 It was such a great experience as they’d choose you and every week the same ones would come see and play with you. They love to be picked up and have piggie backs, races, football, watch them sing and dance and play on the swings. Most of all they love your phone, they love to take selfies, but they can take over so just keep a watchful eye. I had one girl run away from me with my phone in her hand and because she wasn’t allowed to keep it tried to spit on me. (They usually aren’t that bad but just be careful!) Donations are welcome and if you’d like to bring toys etc. out you should as they’d be very grateful! My favourite activity, the chance to see the big 5 out in the open and learn more about the South African wildlife. 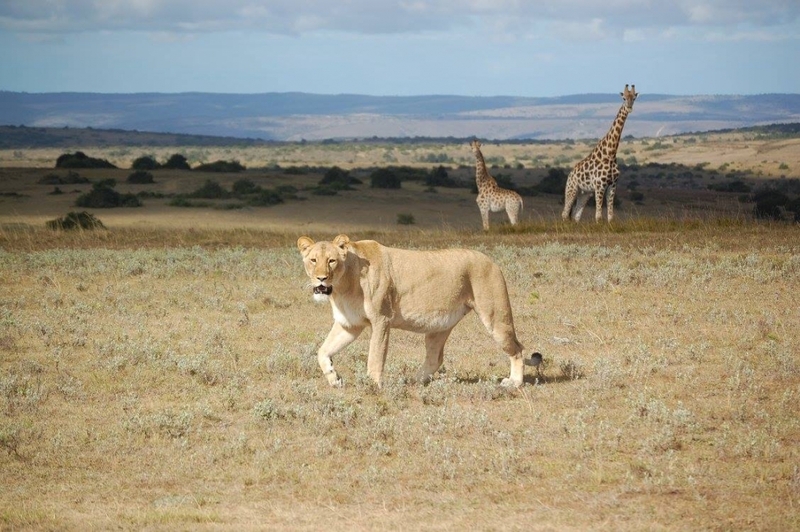 There’s no guarantee you’d see all the animals and that was the beauty of each game drive. Our group got called the Lions because we saw so many in our first week, but sadly never saw the cubs in the game reserve. Every game drive I willed to see these cubs but it never happened so don’t expect to see everything! I saw plenty of zebra, giraffe, wildebeest, and impala. The rarer were the kudu, rhinos, hippo and the African elephants. The leopard only gets seen once a year so don’t expect to see him! At some point in your visit you might get the opportunity to do a dawn drive and a night drive, these are really cool experiences to see the sun rise and see the animals at night, but again you might not see anything, you just don’t know! The reserve is always doing new things so there are sometimes one off activities. I got to see the 4 new buffalo released into their new enclosure which was amazing! We also got to do a 2 hour hike at the elephant sanctuary!